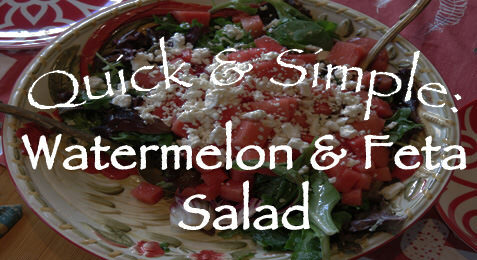 I want to share my signature summer salad, greens with watermelon and feta. It is light crisp, and full of flavor. I love making it during those hot muggy days, when I am craving something fresh for lunch! You can find the recipe for Watermelon Feta Salad here!